The bloods that I had done at 5dpo were back. Due to the Dr not filling in the form correctly, they hadn’t actually tested for progesterone. They tested for liver function, cholesterol and thyroid. Grrrrr! I’m pissed. I fought HARD in this appointment but it was like banging my head against a brick wall, so I guess I will be waiting the extra two weeks and then six weeks on top of that for a hospital appointment. I addressed by random bleeding with him and he completely dismissed it. He just told me “that happens.” No other questions, no offer of any investigation. So, it’s now been eleven days since the first day of my period and I am still bleeding. If it gets heavier I will be going back to the Dr and insisting on being investigated. In other news, this showed up about twenty minutes ago. Superhero Donor is on standby so tomorrow shall be donation day. 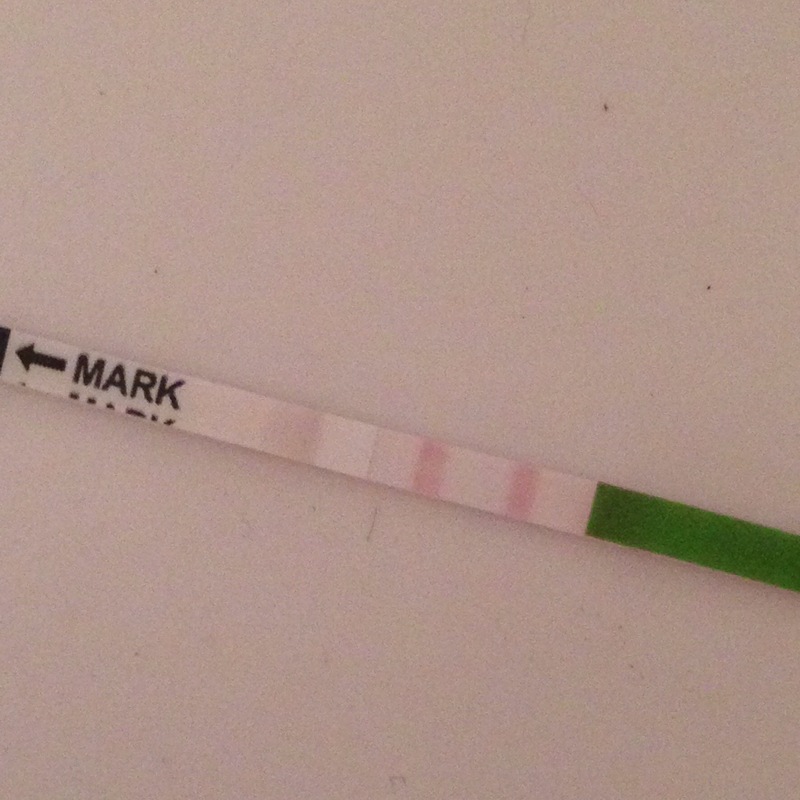 I have never had a positive opk this early before! It’s only cycle day eleven! This entry was posted in 2015, doctor, Donations, donor, donor sperm, donors, dr, fertility, infertility, let down, opk, PCOS, positive and tagged dr, early ovulatiom, let down, opk, positive. Bookmark the permalink. 8 Responses to Cd11 – Dr visit and ZOINKS! It’d have been nice if he could’ve communicated his limits before you went to the appointment. Exactly what decaf said. You came in (fairly) expecting things and if he wasn’t able or even willing to consider delivering them he should have said so. If youd like i can send you my last 5 clomid pills to tide you over since thats what youll be wanting. I know it goes without saying that a doctor should oversee you with Clomid plenty of doctors hand it over with no monitoring. Id like to help if i can.